Transport uitstekers There are 9 products. 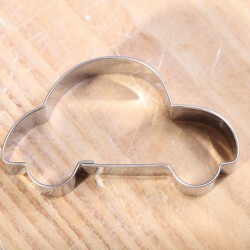 Cookie cutter 'Car'. 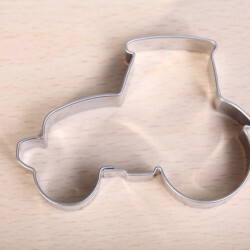 This cute car, made of high quality stainless steel, measures 7 cm. 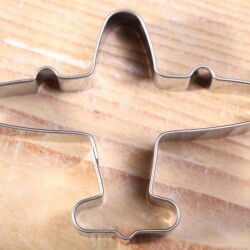 Cookie cutter 'Plane'. This little plane, made of high quality stainless steel, measures 7 cm. 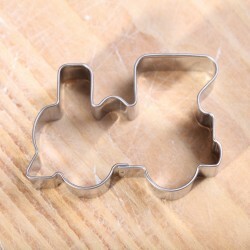 Cookie cutter 'Locomotive'. This cutter is made of high quality stainless steel and measures 5.5cm. 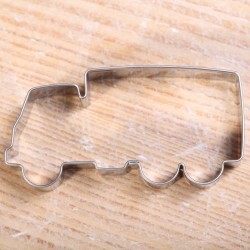 Cookie cutter 'Truck'. This cutter is made of high quality stainless steel and measures 4 x 7 cm. Cookie cutter 'Forklift'. This cutter is made of high quality stainless steel and measures 5 x 7 cm. 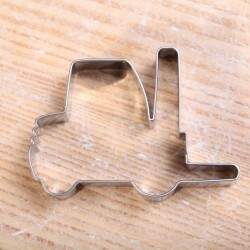 Cookie cutter 'Tractor'. This cutter is made of high quality stainless steel and measures 5 x 6.5 cm / 2 x 2.6 inches. 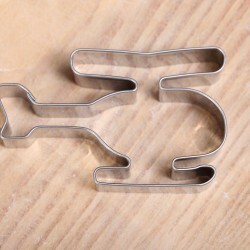 Cookie cutter 'Helicopter'. This cutter is made of high quality stainless steel and measures 4 x 7 cm. 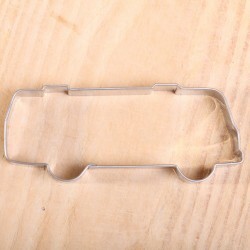 Cookie cutter 'Bus'. This cutter is made of high quality stainless steel and measures 3.7 x 9 cm. 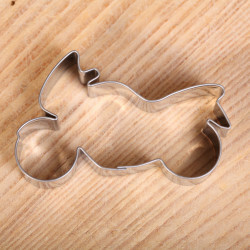 Cookie cutter 'Motorbike'. This cutter is made of high quality stainless steel and measures 4.5 x 7 cm / 1.8 x 2.7 inches.